Blurb The sound system for the Spectrum. 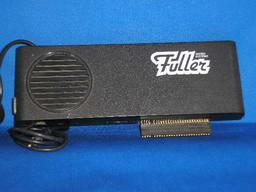 Bult-in audio amp. Based on the G1-AY-3-8912 sound chip. Allows you to program a vast range of sounds for your Spectrum. 3 channels. Includes joystick port. Through ports.